I‘m an avid reader and this has always meant that books have been an important part of getting through my life’s transformations. It is not only that I need an instructive book to get through a life phase; I often turn to books how some people turn to food for comfort. My well-thumbed copies of the Harry Potter series, Jane Austen’s books and Chitra Banerjee Divakaruni’s Sister Of My Heart, and its sequel The Vine Of Desire have accompanied the crests and troughs of my life- the warmth of their familiar words, dialogues and plots soothing my nerves through life’s inevitable turns. So, in 2015, when I found myself pregnant and nine months away from becoming nourisher-in-chief, a new mother that is, it was books I turned to. From the pregnancy bible What To Expect When You’re Expecting to Gita Arjun’s Passport To A Healthy Pregnancy to Lalita Iyer’s I’m Pregnant, Not Terminally Ill, You Idiot!, I voraciously consumed every kind of pregnancy literature I could get my hands on, reading vast scientific explanations on topics such as foetal heartbeat, what really sets off labour, and breast crawls. I became a kind of pregnancy/ birthing geek. Still, despite being a bona fide geek who could’ve possibly scored high on a pregnancy knowledge test, I, like many a new mother, failed spectacularly when the baby came. “Do I really need to feed the baby 12 times a day?” I shrieked to the general amusement of the hospital staff. How am I supposed to burp a baby who is so small that he could potentially slip from my hands while I tried to gently pat him against my shoulder? How do I deal with night feeds when I want nothing more than to sleep? None of these questions were answered in the three days we were at the hospital before we were discharged and sent home. It was an uncertain and shaky period albeit one punctuated by fleeting moments of joy that a new life brings to a family. With limited mobility and potential for activities, I surrendered to books. The written word would be the one solid constant in my now changing world. In the absence of a small bottle of Felix Felicis, books are a great substitute. Instant mood-lifters and evocative of far-away lands, books allow you the luxury of travel without moving an inch from your bed, a boon to someone who has just had a baby. I read in the post-partum period like a possessed woman. When the baby slept or when a feed had finished, I’d happily embrace my tiny windows of sanity by plunging headlong into a book. The Guernsey Literary And Potato Peel Society is an absolutely charming book about an undercover society formed during World War II when the Germans occupied the Channel Islands. The book brought into my life the magic of written correspondences and kindred spirits. It also allowed me to empathise with the comparative deprivation of other people’s lives while I had been diminished to a temporarily sorry existence by having to share my body and physical space with a tiny human being. Reading about people reading, loving and making lasting relationships, all while living through wars and uncertain times, shook me out of my self-pitying state and allowed me to embrace my bountiful privilege. 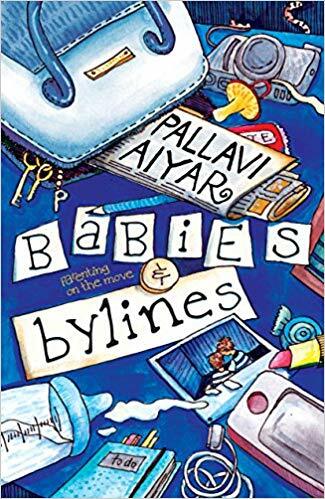 Months down the line, I picked up Babies And Bylines: Parenting On The Move by journalist Pallavi Aiyar and loved it so much that it is my top suggestion for any post-partum reading list and certainly for a new mother. Written with a stunning amount of self-awareness, dry humour, and humility, the author had written a book, she “didn’t have access to at the time (early years of parenting), but would have clutched at raft-like had it been on my bookshelf”. Through niggles with breastfeeding, colic, toilet training and terrible two tantrums, this book is a goldmine of empathy and humour. While it is essentially a memoir, it addresses hard questions about women, work, and parenting from a feminist viewpoint. “I wanted to write this book, in part, to break the interiority of birth and parenting. The separation between the domestic and public sphere is spurious. Keeping ‘women’s’ concerns safely shuttered within the four walls of the home has served patriarchy well. But, if we are at all interested in gender justice, ‘motherhood’ needs to be dragged out of the home and into the public eye, so that it is seen, acknowledged and responded to by governments, employers and the wider public,” writes Aiyar. The book is a pertinent starting point for a conversation about being an equal parent with your spouse. 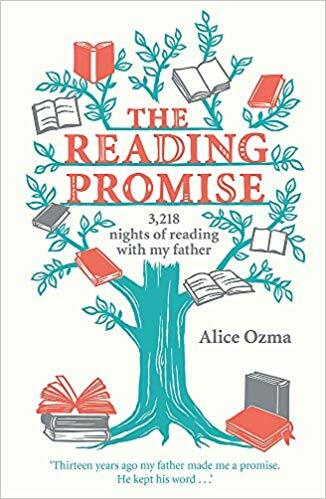 I chanced upon The Reading Promise by Alice Ozma, a memoir about a father and daughter who promise to read together every night and do so for 3,219 nights in a row, withstanding everything from divorce and sore throats to adolescent dates, proms, and sleepovers. It is a remarkable moment for the reader when the last reading happens just before the author moves into her college dorm. Not only was the commitment to the streak impressive, but glimpses of an ordinary life, often short of cash (but never of books and good literature and love) and the understated dad-daughter relationship, bereft of overt displays of affection but divulging occasional vignettes of wisdom, was an absolute comfort to read post-partum. It drove home the point that there is no such thing as a perfect parent, just a parent who is ‘present’ for the child while physically present. Ozma’s father writes in the foreword, “If a child sees something in a parent that the child aspires to, he or she will copy that parent and be content. If children feel that a parent is living a life that shows compassion and understanding, patience and love, that child will not have to reach a stage of rebellion against that parent.” This book strengthened my resolve to always surround my son with books and actively begin reading to him from the time he was five days old. I realised that I will always think of books as life-vests and anchors in the inevitably bittersweet journey of parenting and keep revisiting this book throughout. Chimamanda Ngozi Adichie is one of those women I look up to and an author whose works I hugely admire. 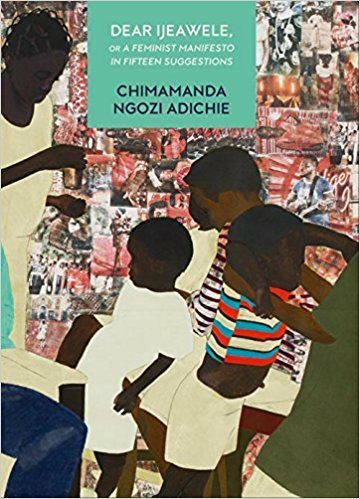 Dear Ijeawele Or A Feminist Manifesto In Fifteen Suggestions, a letter Adichie writes to her friend, was a shining beacon epitomising resolve and conviction, instructive of how to raise a child with feminist values. It speaks to the mother as an individual rather than as a mother who also happens to be an individual, and this was the clincher for me. It is one of those books that actively made me want to be a better human being. As a busy urban professional, it was hard to be confined to the home for the first six months of my baby’s life. Despite the presence of a new offspring and the associated joys and stress that come with being a new mother, there was a sense of unproductivity and a feeling of ‘wasting away’ as I would scroll through the social media feeds of my peers doing absolutely normal things, while I was finishing up a night feed. The books I read at this time, especially ones that were empathetic and sensitive, neutralised the unavoidable fear-of-missing-out to a large extent and ushered in new perspectives, mental strength, and patience, that I needed not only in abundance then, but will also need for the decades ahead! Did you find it hard to maintain your sanity when you became a new mother? 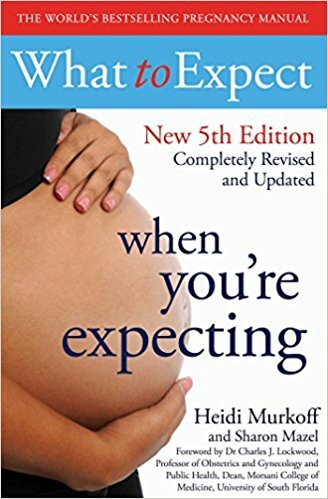 Which books did you enjoy reading as a new mother? Do you have any recommendations? Share with us in the comments below. 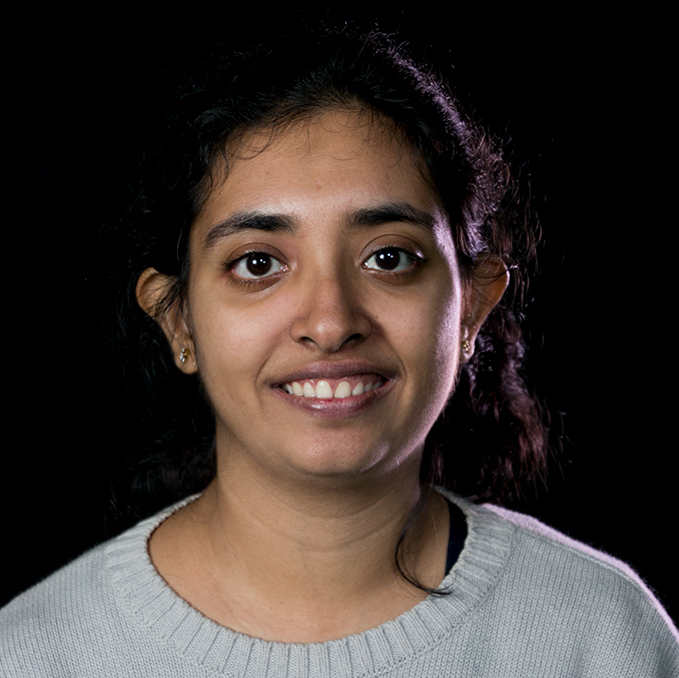 As a child, Hamsini Ravi, would read books all day and well into the night even after her parents switched off her lights in her bedroom, she also used to read as she walked on the road to visit her grandparents, who lived a few doors away. Both have prepared her to read on the Mumbai locals everyday, as an adult.